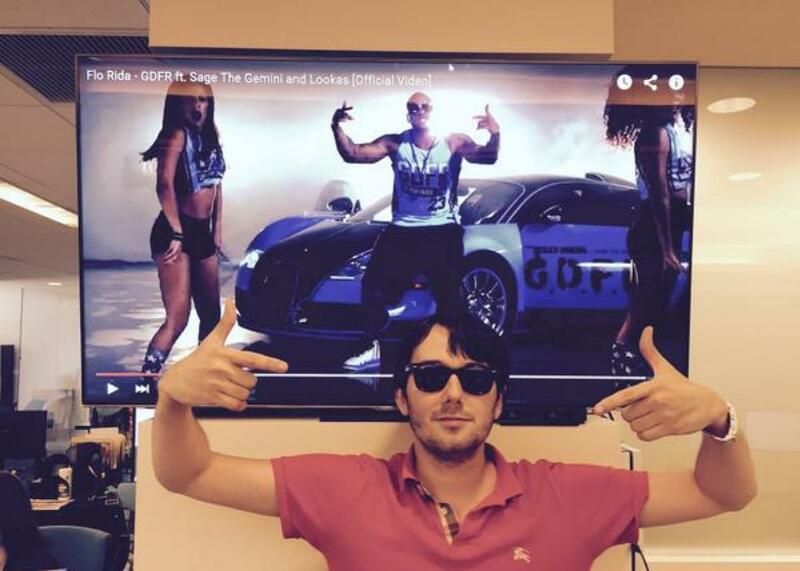 Martin Shkreli's Daraprim price-gouging scheme might be foiled. Remember Martin Shkreli? Of course you do. Last month, the young former hedge funder became the smirking face of drug-industry villainy after news broke that his company, Turing Pharmaceuticals, had bought the rights to Daraprim, a 62-year-old medication used by AIDS and cancer patients to fight life-threatening parasitic infections, then jacked up the cost from roughly $13.50 to $750 a pill. Hillary Clinton condemned him. So did Bernie Sanders. So did pretty much everybody with an Internet connection. Shkreli eventually relented and said he would lower Daraprim’s price somewhat, though he hasn’t specified by how much or when. While that certainly makes for a satisfying headline, things might not be quite that simple. To start, let’s talk about why Shkreli’s price-gouging scheme seemed like an act of such evil genius. Daraprim, again, is more than a half-century old and no longer under patent. Theoretically, any generic drugmaker could decide to start making its own version. But there would be challenges. First, the drug isn’t widely used—there were fewer than 9,000 prescriptions filled in 2014—meaning the market might not be especially profitable. Second, they would have to wade through the Food and Drug Administration’s generic-drug approval process, which right now is currently clogged with a massive backlog of applications. As a result, despite hiking up its price, Turing probably doesn’t need to worry about any competition from another manufacturer in the immediate future. Insofar as Imprimis is in a position to foil Shkreli’s price gouging scheme, it’s because the company isn’t a pharmaceutical manufacturer. It’s what’s called a compounding pharmacy, which are in the business of mixing (or compounding) custom versions of generic drugs to fill individual prescriptions when doctors can’t find a commercial treatment for their patient. Sometimes they’ll mash up combinations of active ingredients that are different than what you’ll typically find at a local Walgreens, or sometimes they’ll change the dosage. Imprimis’ chief financial officer, Andrew Boll, gave me a useful personal example when we spoke Friday: About a year ago, he and his infant son both got sick with a bacterial infection. Boll was prescribed a giant horse pill that his child couldn’t swallow. So he went to a compounding pharmacy, which took the active ingredient and remixed it as a banana-flavored syrup ingestible by a 6-month-old. The key thing about compounding pharmacies is that, unlike large generic manufacturers, they don’t need to get FDA approval to produce a treatment. They aren’t allowed to create exact replicas of commercially available drugs. But so long as a doctor writes an individualized prescription that calls for something sufficiently different than what’s on the market, the compounder is free to crank it out. In the case of Daraprim, Imprimis plans to offer a capsule that combines pyrimethamine, the drug’s active ingredient, with leucovorin, which is sometimes prescribed to offset its side effects. And it can do so pretty much immediately. The fact that relatively few patients use Daraprim isn’t a problem for a compounding pharmacy either. After all, they’re in the business of filling individual doctors’ orders. When I asked Boll about the highest volume drug they produced, he mentioned a generic eye drop that some patients use after cataract surgery—the company fills up to 10,000 prescriptions a month. Compounding pharmacies do have to abide by certain limits. For one, they’re not allowed to manufacture drugs in bulk and store them, or sell them to pharmacies. That’s one reason why they’re probably not an answer to the bigger problem of rising mass-market generic drug prices. But when it comes to an expensive specialty drug like Daraprim, a company like Imprimis could well offer an affordable alternative. “If there’s a way to do this where this drug can be compounded for each individual patient that needs it, then they are functioning completely within the law, then this is seemingly a reasonable way to address the issue of the very high price of the Turing drug,” Kenneth Kaitin, director of the Tufts Center for the Study of Drug Development, told me. That said, even if Imprimis can offer Turing some competition, that doesn’t mean it will necessarily keep Shrkeli from making a handsome profit. Forbes staff writer Matthew Herper offers the tale of a drug called Makena as an illustration of why. Makena was developed to prevent preterm births and mimicked an inexpensive regimen of drugs doctors typically got from compounding pharmacies. It also costs $690 per treatment today, 4,600 percent more than the compounded versions, which most doctors still rely on. Yet, it still makes a hefty profit. Why? For one, some insurers are still willing to pay for it. And many doctors don’t trust compounding pharmacies as safe—in 2012, one caused a meningitis outbreak after selling steroid injections that it had illegally manufactured in bulk and stored in unsafe conditions. As long as a few patients or insurers end up paying Turing for Daraprim at its inflated price, the company may be able to make a nice return. Long story short: Thanks to Imprimis, some patients might be able to get an affordable version of a crucial drug. But it’s not clear that will stop Shrkeli from making fistfuls of money.